Unique opportunity large ranch style home location in Novi township with highly rated Northville schools. This home is locate on just over a beautiful park-like 10+ acres with tons of mature trees and a large pond. 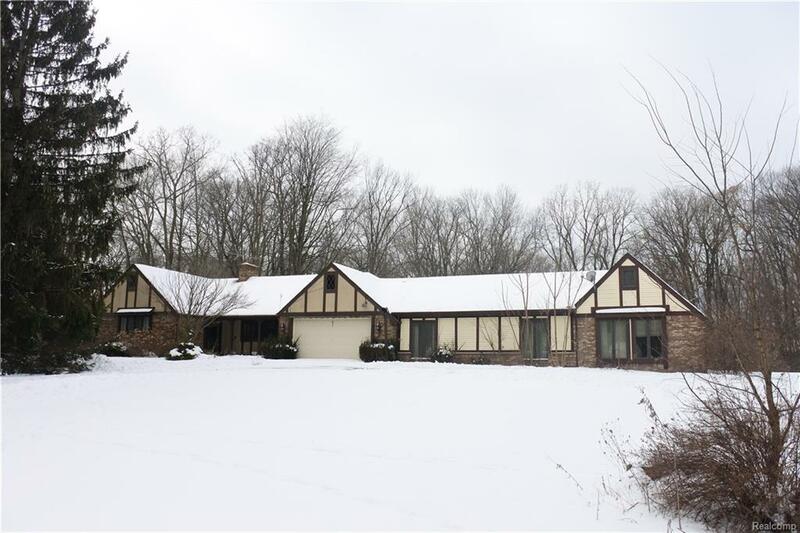 Home features 3 large bedrooms, 20' family room with natural fireplace, 14' kitchen with oak cabinets and granite counters, dining area with doors leading to huge Florida type room overlooking pond and wooded area. Geo thermal heat, enormous 45' indoor pool room with attached hot tub. Full partially finished walk out basement. Exterior features include approximately 75 x 56 pole/horse barn. You won't find another piece of property like this. Home is in need of extensive renovation. Home being sold as-is with no repairs to sellers. Sanitary sewers will be available at street in 2019.